The AWA is a part time e-fed. This fed was created to for people who can only roleplay part time. We have been running for 8+ years so come and hang out with awesome people who love wrestling! A new WWE Based E-fed,with big Stars still available and accepts User Created Wrestlers. With a reliable staff, and dependable results and match cards. WWE Warfare is a good and reliable e-fed, with good roleplayers in it. Raw vs Nitro, Welcome to the 'Monday Night War!' We now have our own website! Since May 07 we've provided a quality roleplaying environment. Sister fed for CAWs now open! New fed.. great staff.. plenty of big names still available.. awesome gfx.. come check us out! E X O D U S has been created by a 10 + year fed head veteran and is a puro fed. Come join the newest sensation. We guarantee we'll be 100% different than anywhere you've been before! Tired of trying to find a good fed? Tired of putting in hard work and losing when you should be winning because the guy you are facing is more popular but not as good as you?Well look no further. Check out OSW! We am sure you won't be disapointed! An RP fed where the RPs determine the direction of the storylines! Lots of fun, lots of players! The Nexgen of online effeding is upon us. Join today, before the generation passes you. The fed has just opened,. 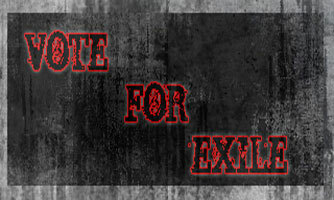 with a few features, no other efed has, check us out and join! RESERVE NOW! The hottest efed on the market opens August 22nd!